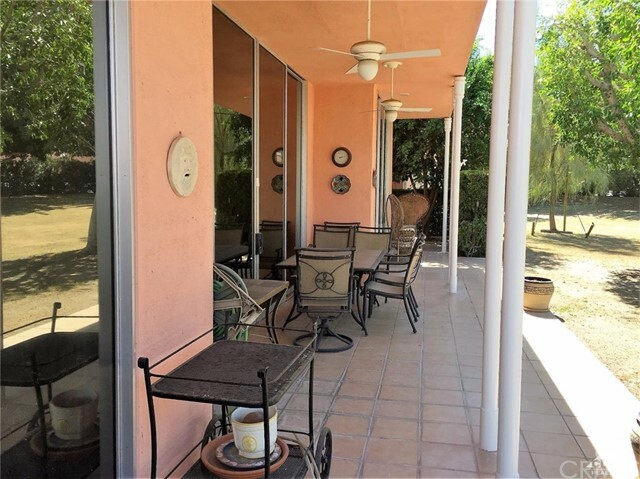 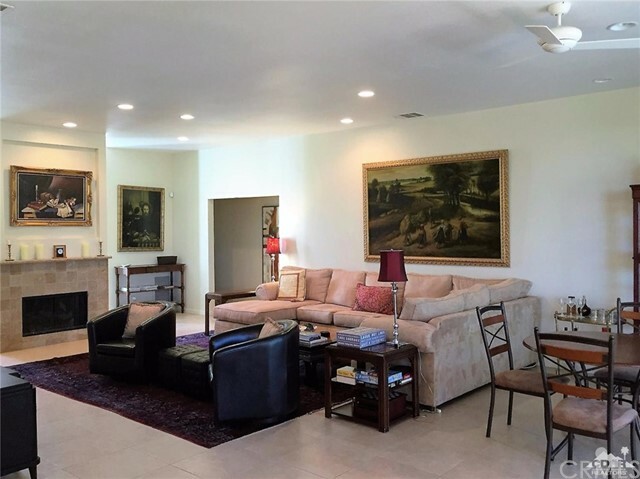 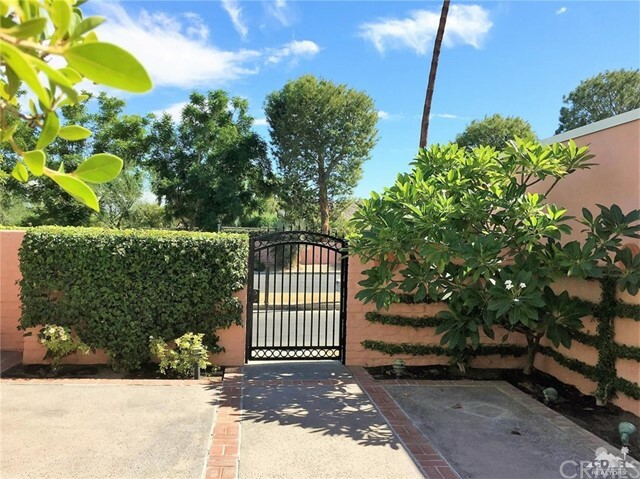 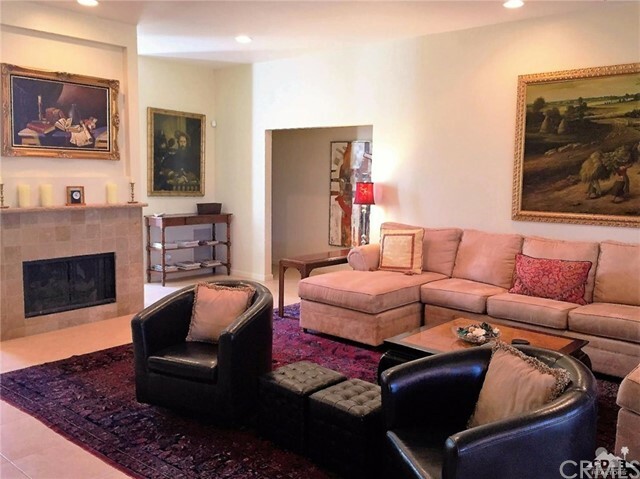 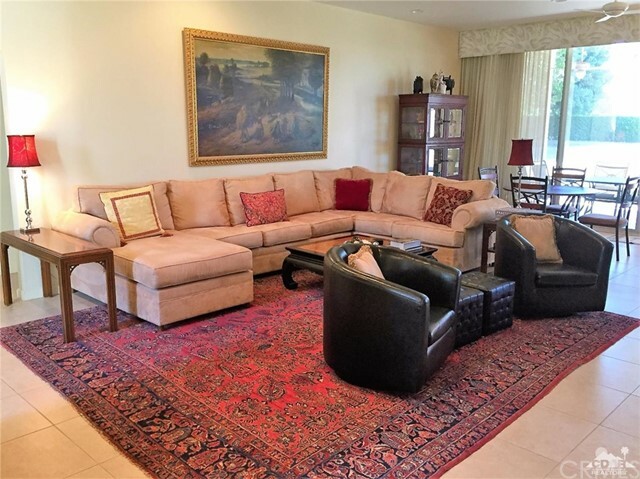 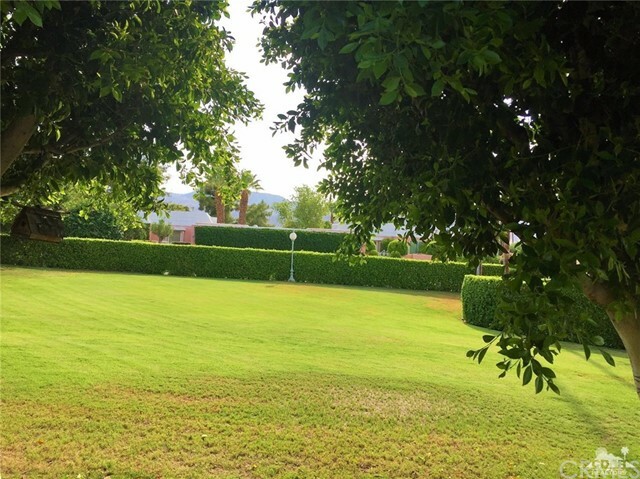 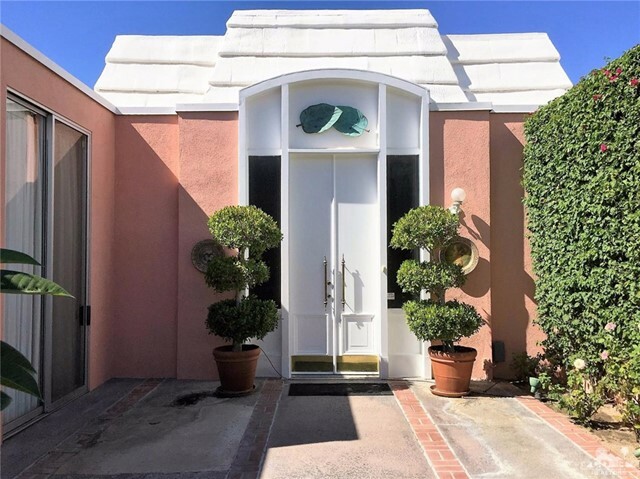 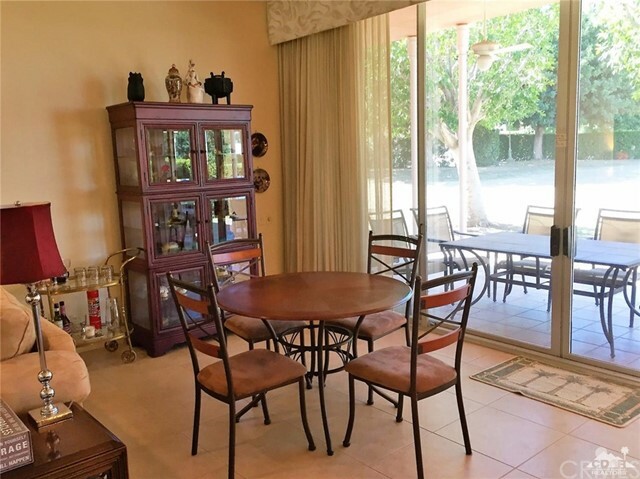 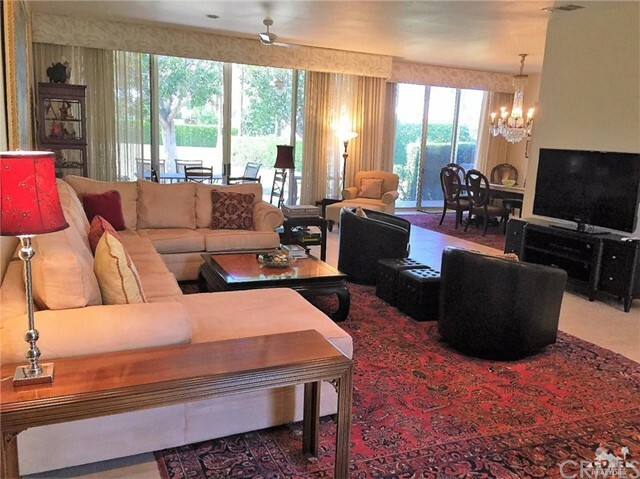 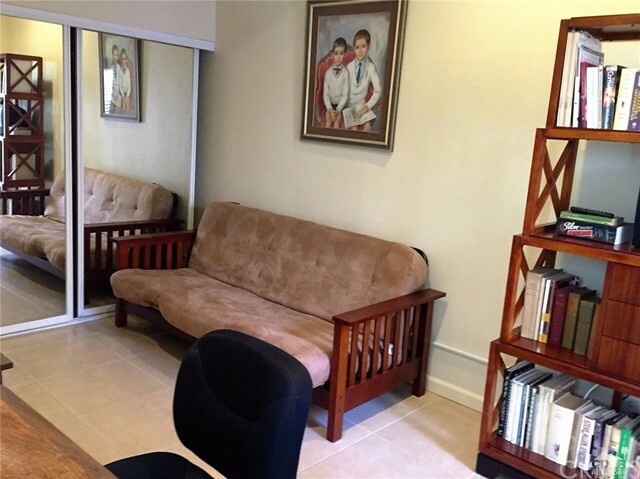 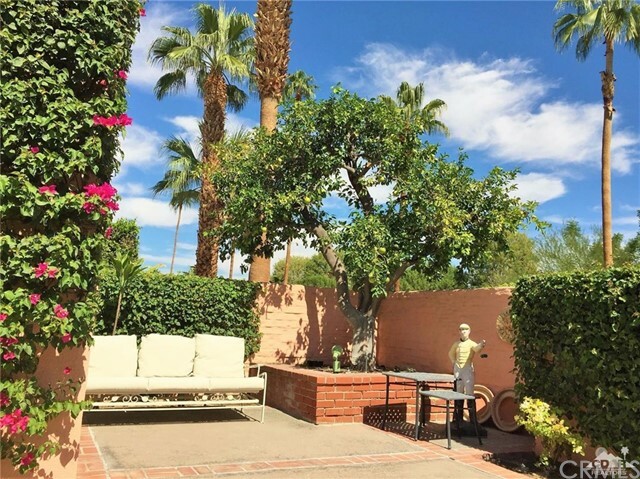 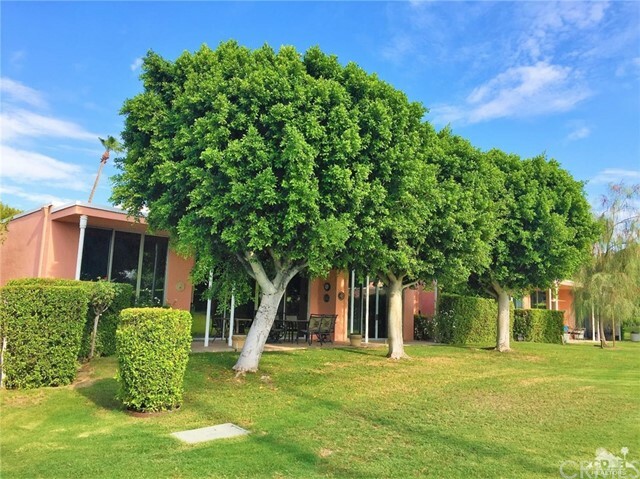 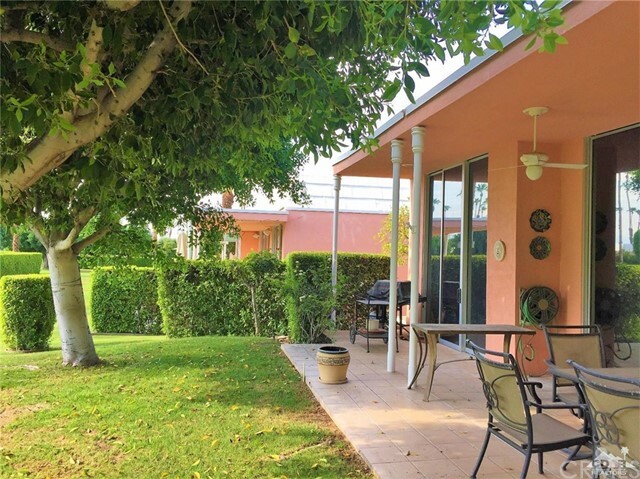 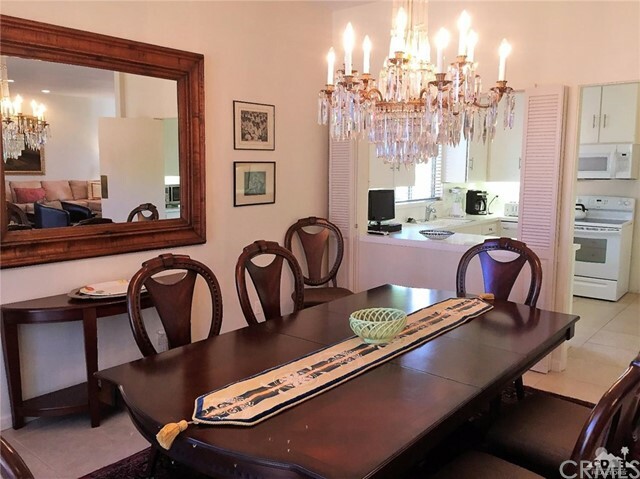 This spacious 3BD/3BA plus the office seasonal rental has been updated throughout and features an elegant floor plan with floor to ceiling glass sliders and towering 10 ft ceilings in all rooms, a spacious living room with custom fire place, formal dining room and the West facing patio on a private greenbelt. 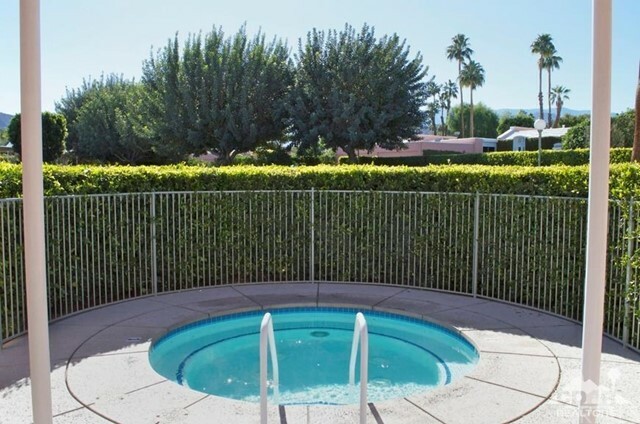 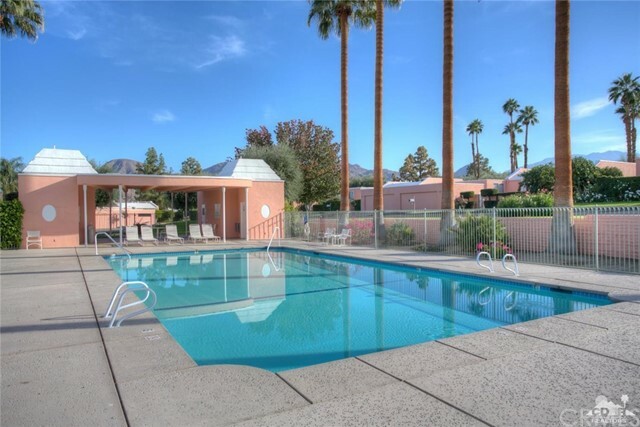 Conveniently located just minutes away from the clubhouse and the year-round heated salt water pool. 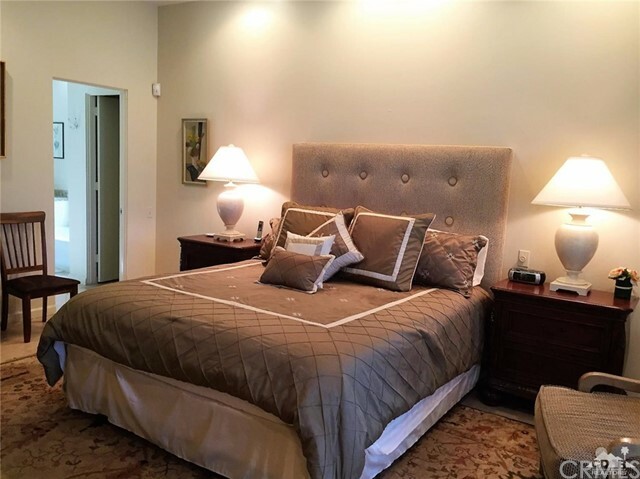 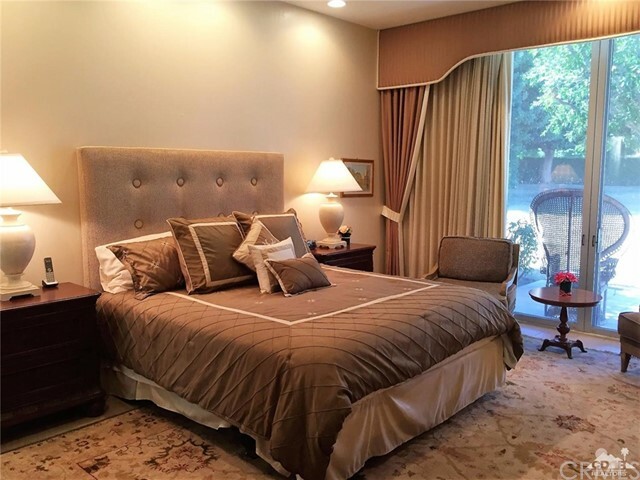 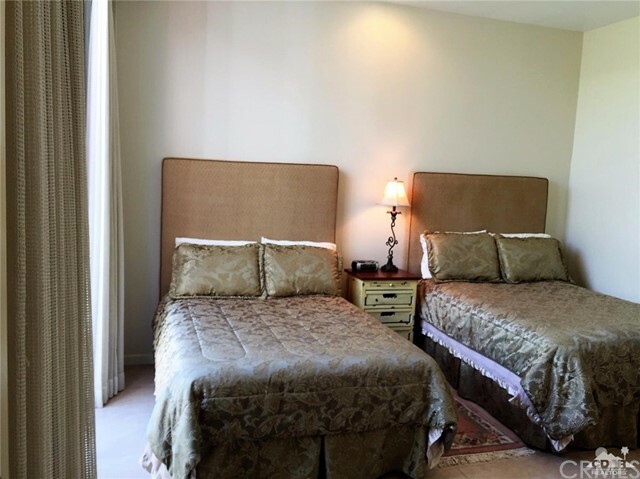 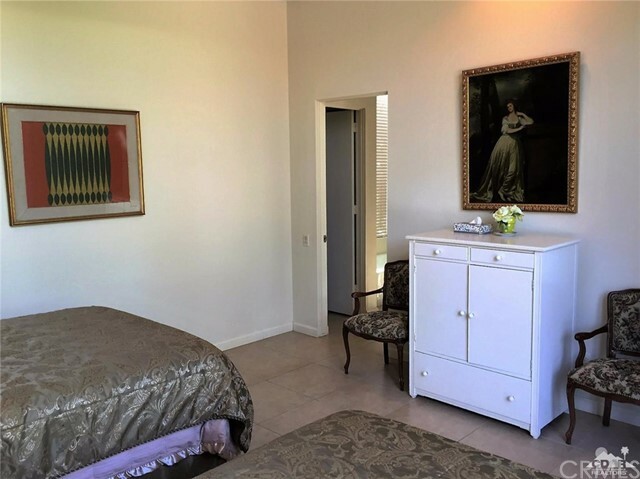 Master suite offers a king size bed, guest bedroom has 2 full size beds plus office, third bedroom has twin beds. 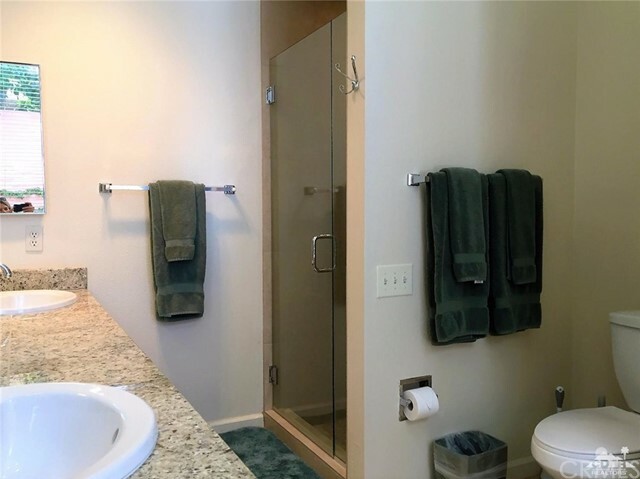 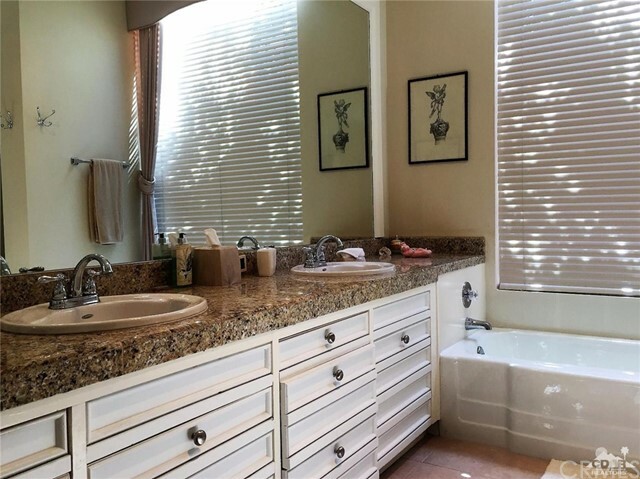 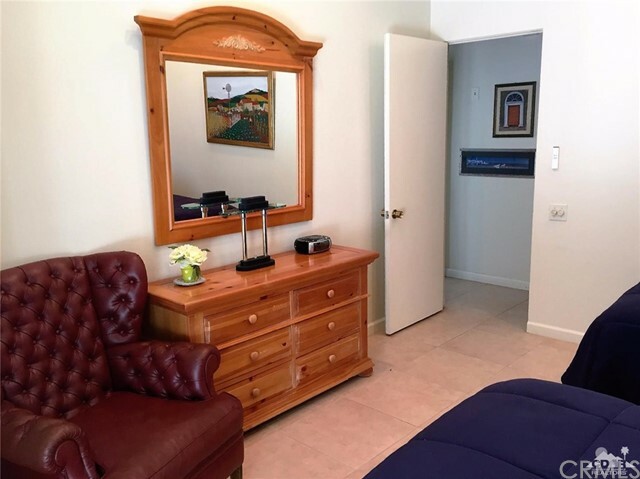 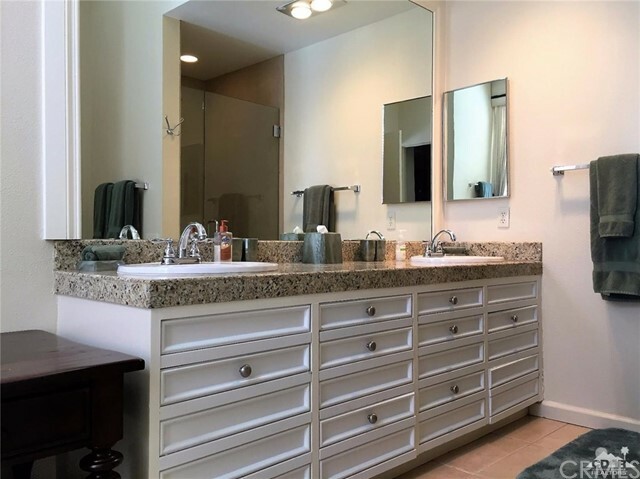 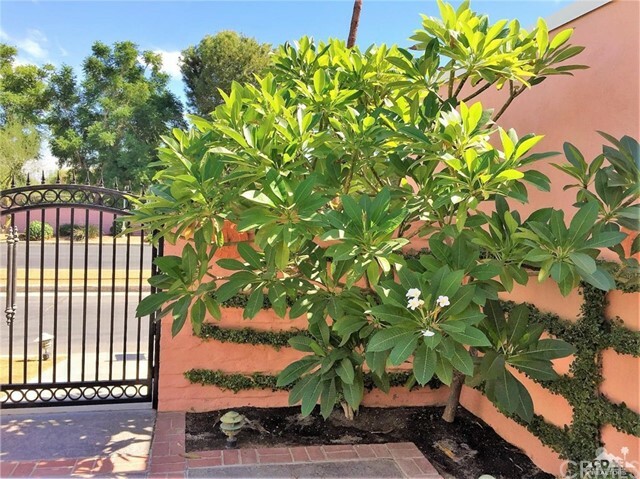 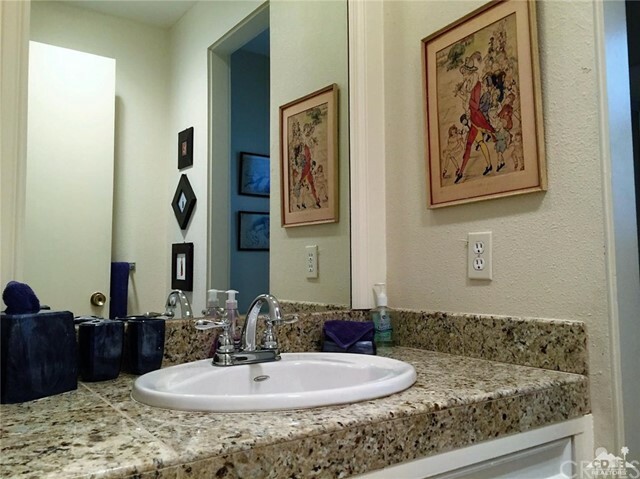 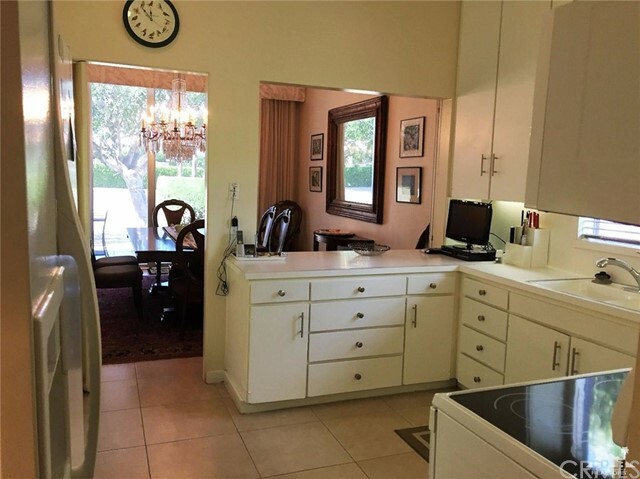 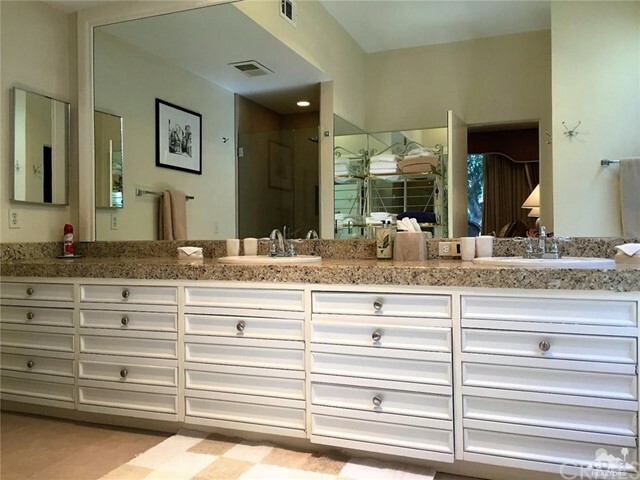 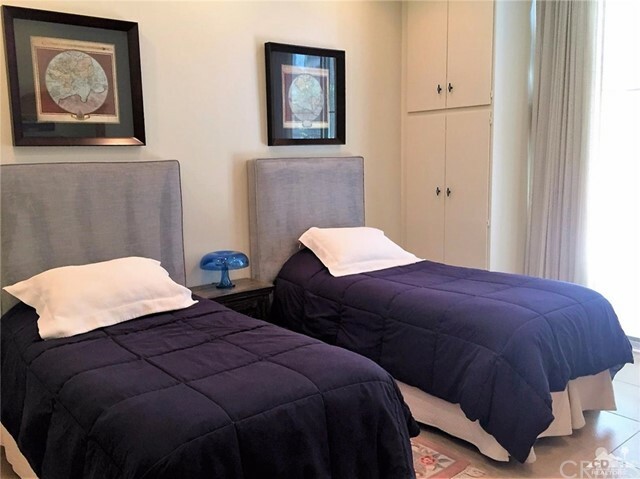 All bathrooms have been remodeled with granite counters and custom fixtures.This home is tastefully decorated with traditional furnishings and has everything you will need during your stay. 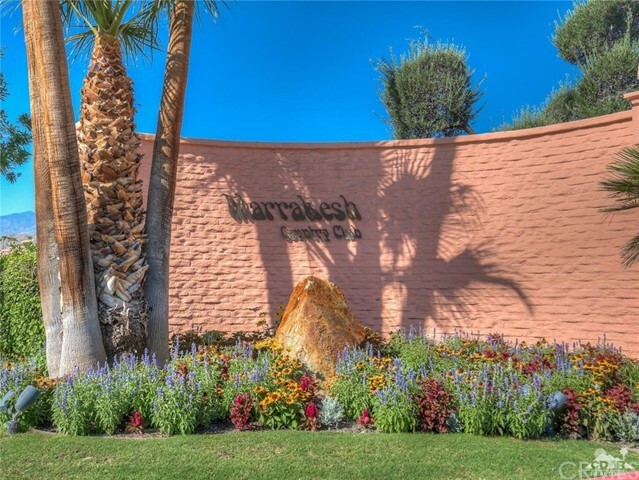 Marrakesh is one of the most desirable locations for a desert vacation experience. 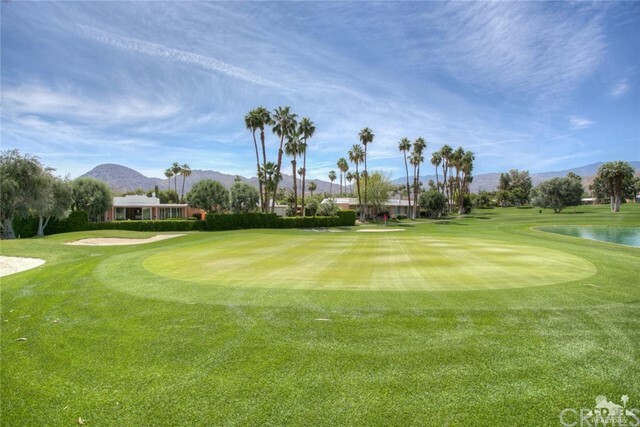 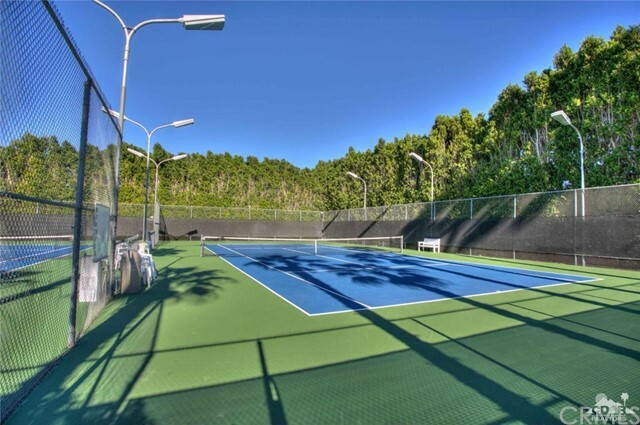 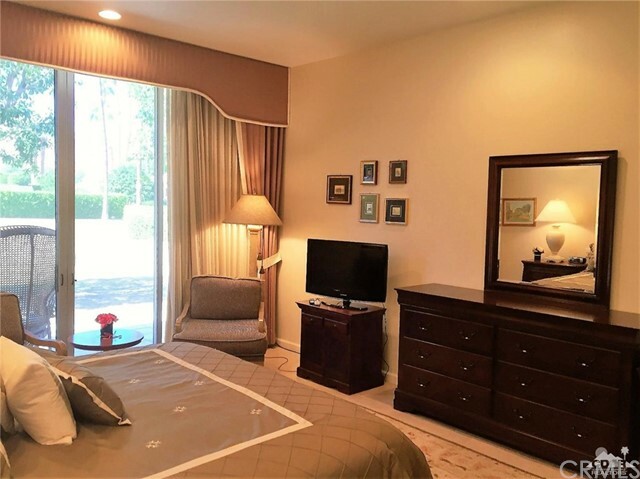 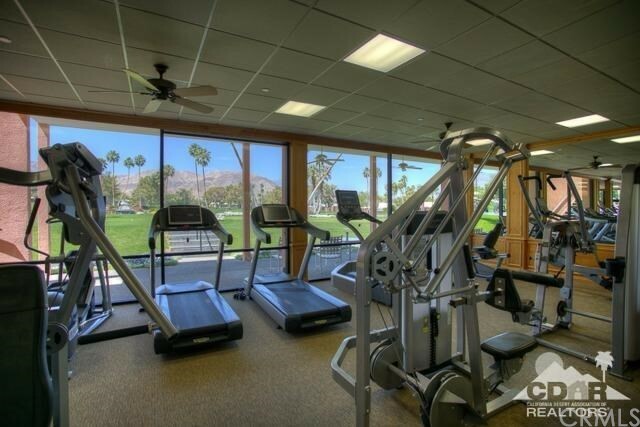 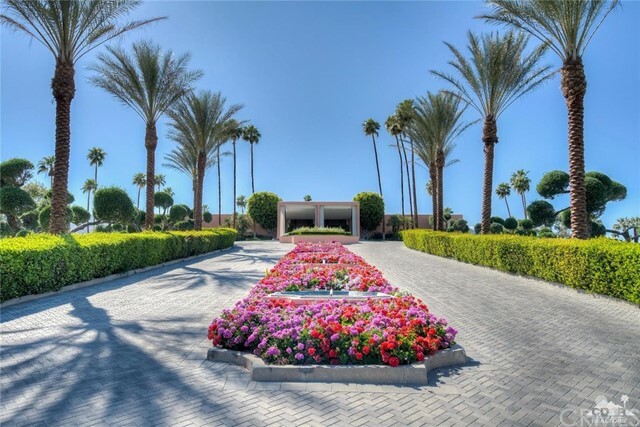 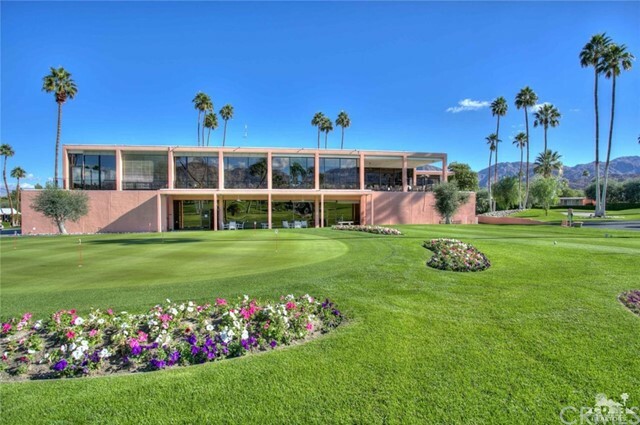 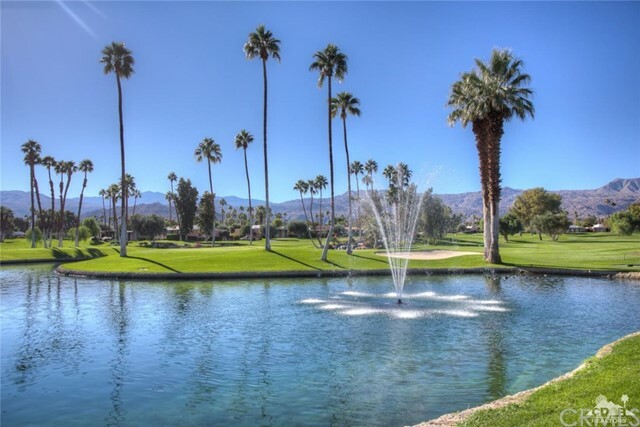 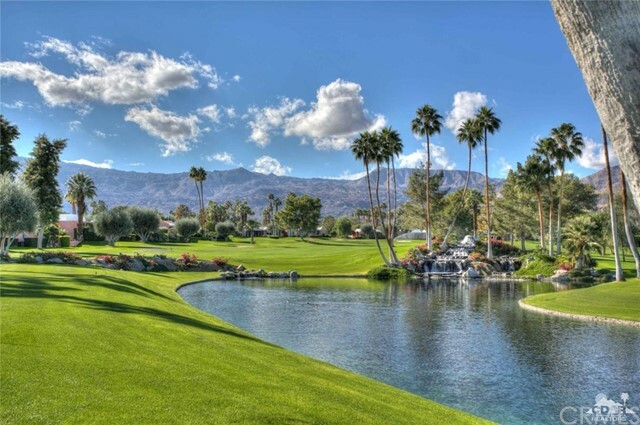 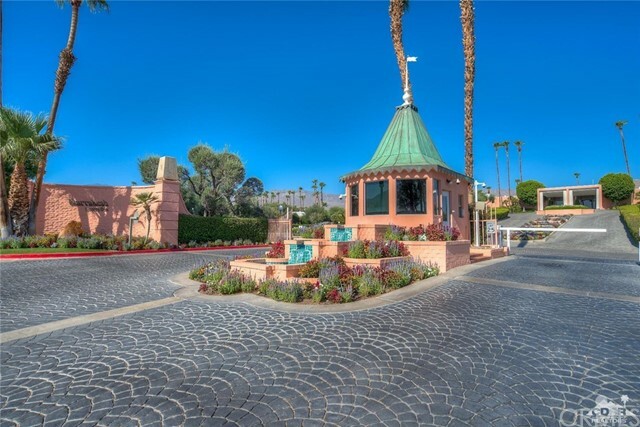 Club amenities include 18-hole executive golf course, 14 pools and spas, fitness, tennis and a very active clubhouse. 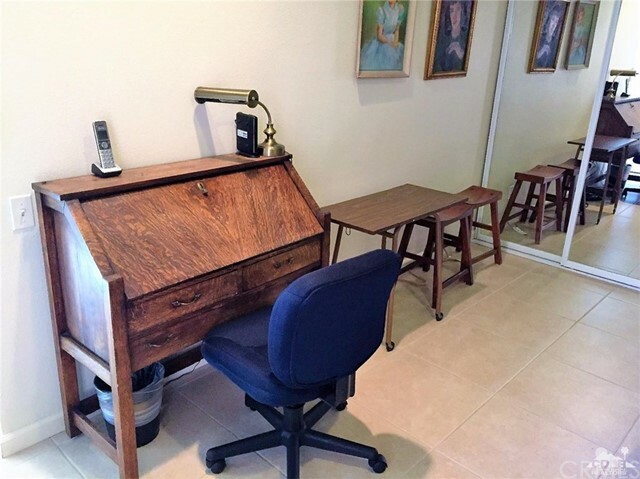 Call agent for availability. 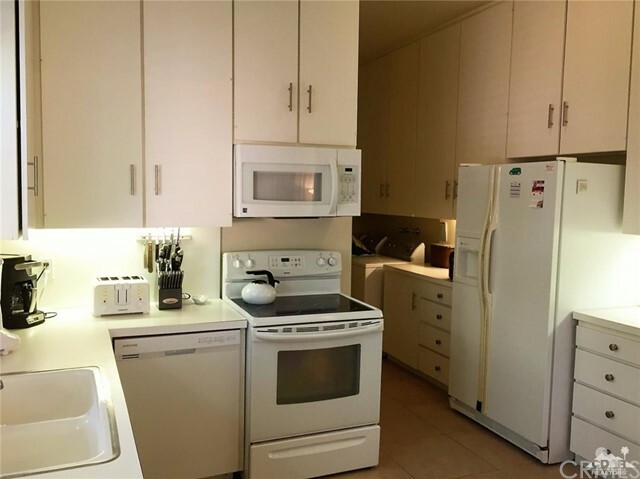 Rented February-March, 2019.